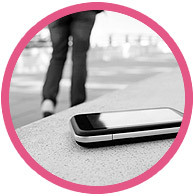 For more information about Mobile Security, contact us! Early mobile security market solutions addressed specific pain points, but they fail to provide comprehensive protections. 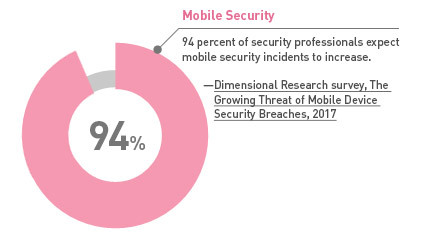 The dismal statistics on mobile data security clearly indicate that attackers are exploiting coverage gaps and leaving organizations vulnerable to devastating-and embarrassing-breaches. SandBlast Mobile protects employees' devices from infected apps, man-in-the-middle attacks over Wi-Fi, OS exploits, and malicious links in SMS messages. SandBlast Mobile is the recognized leader in the mobile threat defense category, with the highest threat catch rate on the market. SandBlast Mobile's cloud-based dashboard provides real-time threat intelligence and visibility into the type of threats that could impact your business. Only SandBlast Mobile provides a complete mobile security solution that protects employees' devices from all attack vectors.